In this debut novel, a small town shuns an unwed mother as her son struggles with his future and the way the world sees their family. 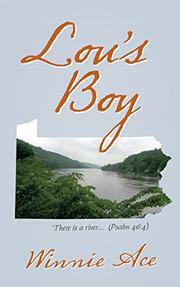 In the small, conservative, and rural town of Alton, Pennsylvania, young mother Lou Metcalf stands out, unfortunately for all the wrong reasons. Raising three children from three different fathers all on her own, Lou often has to avoid the glances of other women, who judge her harshly as immoral and a bad influence. She also must distance herself from the husbands around town, who inevitably start stumbling over themselves like high schoolers in the presence of her beauty. Lou’s son Derek has also paid the price for her romantic entanglements. Targeted by town rich kid and bully Carl Cross and often a source of gossip, Derek has been shunned by his peers. His social world revolves around a gang of fellow smart and sensitive misfits who call themselves the ZONCs. He also lunches with the soulful school janitor, Cal. Every day, Cal reveals a little more of his own life story, one in which he could not read until he was age 15, to try to convince Derek to not give up on his studies and to pursue college. But a serious challenge is on the horizon for all of them as a new romance blooms in Lou’s life when one of the husbands she has avoided opens up to her in unexpected ways. Ace’s narrative moves easily from coming-of-age story to forbidden romance to an anthology of small-town life. While many of the familiar tropes and clichés found in these genres surface in her work—like the wise old janitor or the band of nerdy but good-hearted kids—Ace delivers something special in the strong character of Lou. The author provides succinct, memorable descriptions like “She didn’t ‘make’ conversation. When Lou spoke, her words were real. She offered herself with her words.” While the tales of Ace’s cast don’t hold many surprises, these evocative moments help create fully developed players who keep her novel intriguing. A heartfelt—but somewhat predictable—coming-of-age story and romance featuring well-crafted characters.